Mt. 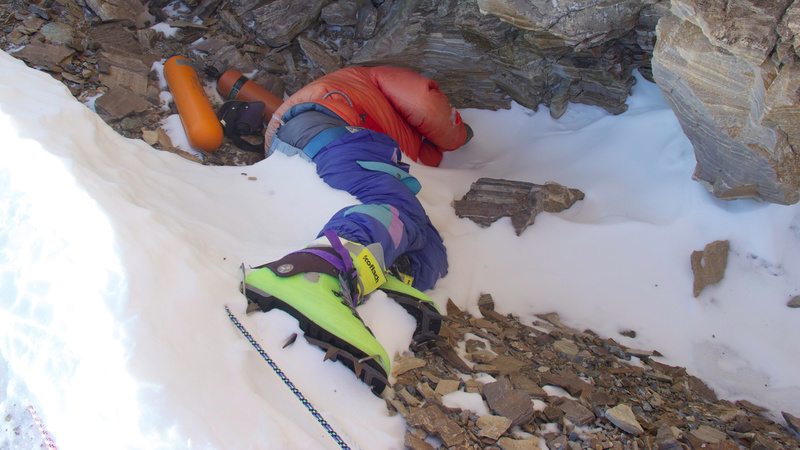 Everest is the final resting place of about 200 climbers who never made it down. Recent glacial melting, caused by climate change, has made many of the bodies previously hidden by ice and snow visible again. While many bodies are quite visible and well known, others are renowned for being lost for decades. People die trying to reach the top of Mt. Everest. While about 5,000 people have gotten to the top and came back down to tell the tale, 300 have not and 200 bodies remain on the mountain. Many of these bodies have been covered by snow and ice over the years, but now with glaciers melting due to climate change some of the long-hidden bodies are becoming visible again. The ice on Everest is melting fast, in 2016 the Nepalese Army had to be called in to drain lakes swollen with glacial-melt that threatened to flood. The Khumbu Glacier is melting so fast that ponds are forming and linking up to create small lakes. Not all the bodies that turn up are made visible by global warming though, glaciers move and snow drifts shift over time so previously hidden bodies are always at risk of coming back into view. Why leave the bodies there at all? Why not bring people down as soon as they die?